This blank wall solution can transform your bare walls into a gallery of memorabilia from your travels, events that you've attended and bonding times with the family. Those photos could be an interesting work of art when presented in a lay out that could help ground the space. The green colored photo frames were able to strike a contrast against the white hues of the wall. 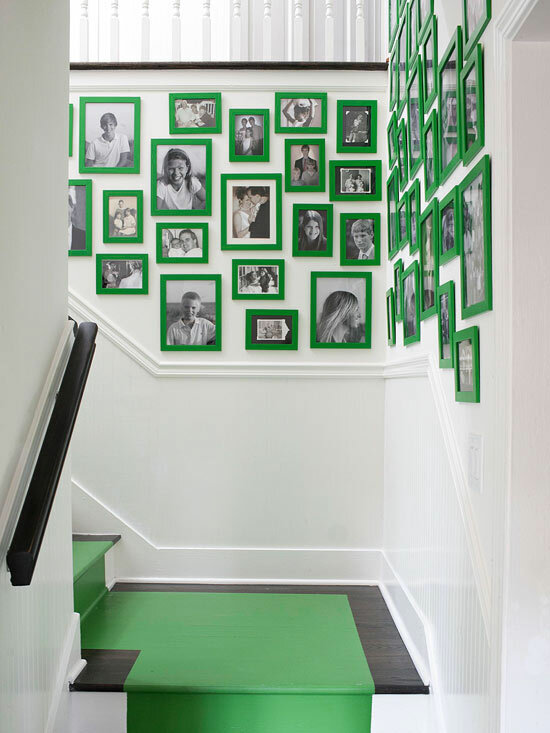 Instead of just walking to your bedrooms through the stair case, why don't you add up a bit of excitement by creating a mini gallery that could showcase your favorite shots.